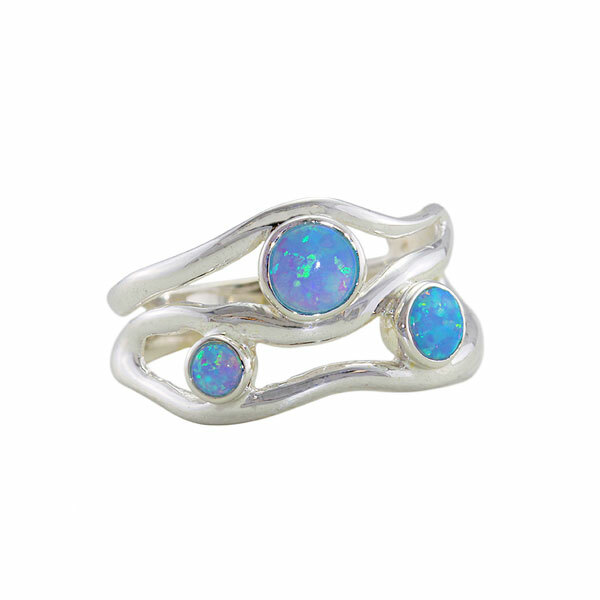 A distinctive sterling silver ring set with three lovely circular opalites. Characteristic of the Banyan organic style of jewellery, this ring moves from a band to an open weave of silver to form 3 strands, which encapsulate three circular blue opalites of differing sizes. The ring is usually available in sizes L to T. Please advise on the size required when ordering.